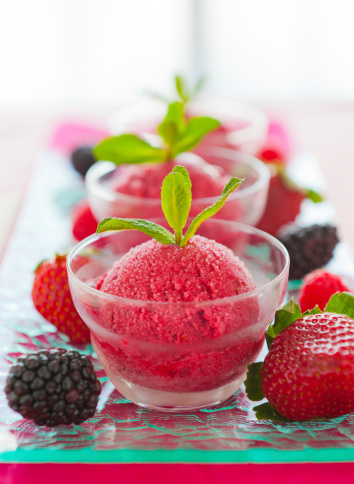 Strawberry mint sorbet is made from the freshest of ingredients so you can enjoy dessert time, guilt-free! Place in a freezer-safe container, cover, and freeze for about an hour. Using a hand-held blender, blend mixture again. Top with a sprig of mint or a lemon or lime zest. Serve immediately.